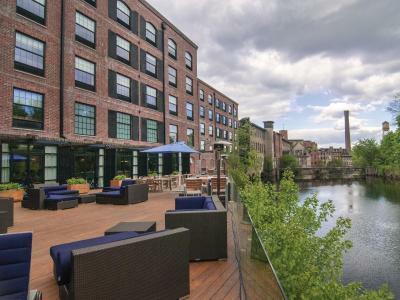 Lock in a great price for NYLO Providence Warwick Hotel, Tapestry Collection by Hilton – rated 8.5 by recent guests! Cool hotel design and decor, bed was very comfortable, close to many shopping and restaurant options. 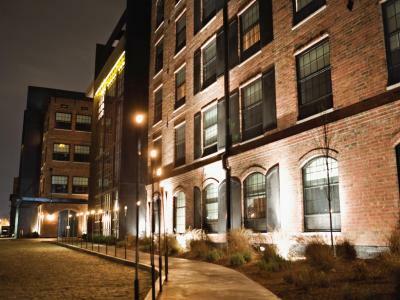 Great bed and comfortable sheets Great vibe to the old warehouse Hilton. This place is nice. I didn’t have a wardrobe to put my things in just an area to hang stuff up. They didn’t pay attention to my email asking for a room with a view, a fridge and extra k-Cups I got the tiniest room, no fridge, and only decaf coffee lol. There’s no room service but a great restaurant downstairs u can get food and bring to your room. The bed was very comfortable. The janitor there (wish I knew his name) but he was more like the jack of all trades was the nicest person and did everything to fix the situation. This is great for someone whose there for business but for someone in need of respite a place with more included would be better. We Love this Place !!!!! We had stay here for 4 times before and we will continue to come back . Amazing place, Staff is Excellent!!! I love the loft style rooms. How large and super soft and comfortable the beds are (had a king sized bed). I like the lighting structures throughout the room. The hotel's restaurant and bar are beautifully done. The menu has a decently rounded selection of foods. McKenzie welcomed me. She made my stay awesome. My stay was good overall. The staff was friendly and very responsive. When we got our key and got to the room it didn't work. We went downstairs and maintenance was there within minutes to help us out. It turns out there are clocks inside the locks and because of daylight savings they didn't sync up with the system used to create the key. It was a minor inconvenience for us but handled so quickly by staff that we didn't mind. My car was broken into I had items stolen. I felt I should have been reimbursed for my stay. Absolutely the greatest place ever! Our new “go to” hotel whenever in Rhode Island. 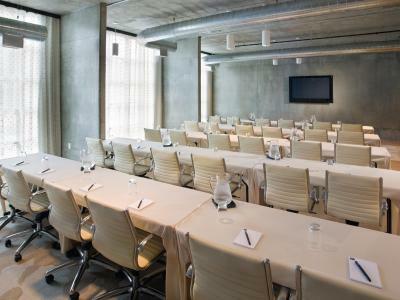 NYLO Providence Warwick Hotel, Tapestry Collection by Hilton This rating is a reflection of how the property compares to the industry standard when it comes to price, facilities and services available. It's based on a self-evaluation by the property. Use this rating to help choose your stay! One of our best sellers in Warwick! 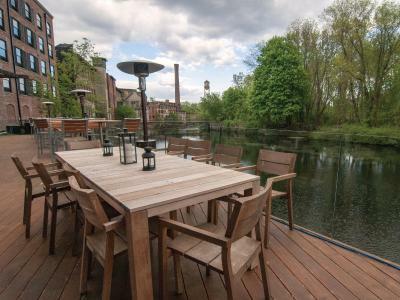 This boutique hotel is located across from the Warwick Mall and features views of the Pawtuxet River. There is on-site restaurant and bar. Central Providence is 11 miles away. A flat-screen TV and large windows are available in every brightly decorated room at the NYLO Providence Warwick. Free Wi-Fi and an iPod dock are provided in the loft rooms. 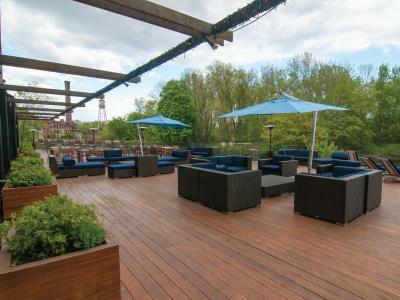 The Providence NYLO has free airport shuttle service and has an outdoor terrace with seating. The Loft serves traditional cuisine in a chic, modern atmosphere. Full bar service is also available. Roger Williams Park Zoo is a 15-minute drive from the hotel. Brown University is 12 miles away. 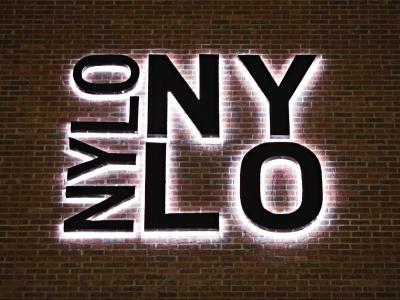 When would you like to stay at NYLO Providence Warwick Hotel, Tapestry Collection by Hilton? 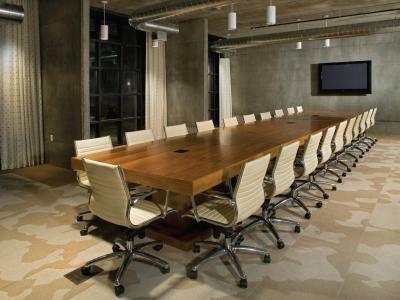 Luxury guest rooms and suites feature vibrant design details, exposed brick walls and polished concrete floors, contemporary custom furnishings, high ceilings, oversized windows, as well as original artwork from local artists. House Rules NYLO Providence Warwick Hotel, Tapestry Collection by Hilton takes special requests – add in the next step! 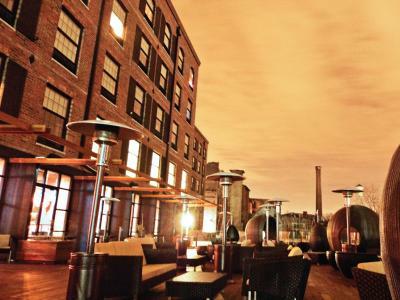 NYLO Providence Warwick Hotel, Tapestry Collection by Hilton accepts these cards and reserves the right to temporarily hold an amount prior to arrival. Guests must be 21 years or older to check in at this property. Shower curtain could not be secured and flowed in shower taking up half the shower space. They forgot to get things ready even though I sent them an email ahead of time with my requests and they responded they could get these things. I had to wear shoes the whole time because the floor was so cold. There was no shampoo or conditioner in the bathroom. There was no fridge for my food so I had to throw it out. One of the best mattress I have ever had that let me sleep very well. Modern room, up to date, compare to most of hotel in the area that should be refurbished. The bed was amazingly comfortable and I think they did a really nice job converting the old building into a unique establishment with great furniture and decor. The staff was really nice and you can tell that they really want you to be taken care of. I absolutely love the free parking, that's always a must for me and I would stay here again for sure. The signage for the entrance, the plaque with the hotel's name was very, very small. Wasn't sure if it was the entrance to the hotel or another business. Towels didn't look clean, even after requesting replacements. They are supposed to be white but, had stains throughout. White should be white. I purchased my own to use. No mini fridge. Had to request hand soap initially and subsequent days of stay after room was serviced. The house keeping crew took but not replace it. Small nit: Need a low light option in the bathroom as no “nightlight” mode to the lighting there.. Very cool room. Comfy bed. Wonderful shower.